AN ISO 9001:2008 Certified Company 3rd Largest Exporter, Suppliers, Buyers, Dealers & Manufacturers of Blind Flange and high nickel alloys. Plate Flanges Are Made To Seal The End Of A Pressure Vessel Openings Or Piping System To Block Flow. Plate Pipe Flange Are Used In High Pressure Applications. It Is Used To Acquire Comfort Access To The Interior Of A Vessel Or Line Once It Has Been Sealed. 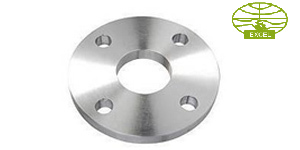 Carbon Steel Plate Flanges: ASTM / ASME A/SA 105 ASTM / ASME A 350 , ASTM A 181 LF 2 / A516 Gr.70 A36, A694 F42, F46, F52, F60, F65, F70.